It's a name that might better suit a rubber ducky than an extremely expensive, state-of-the-art research vessel designed to explore the coldest regions on Earth. LONDON (AP) — It's a name that might better suit a rubber ducky than an extremely expensive, state-of-the-art research vessel designed to explore the coldest regions on Earth. 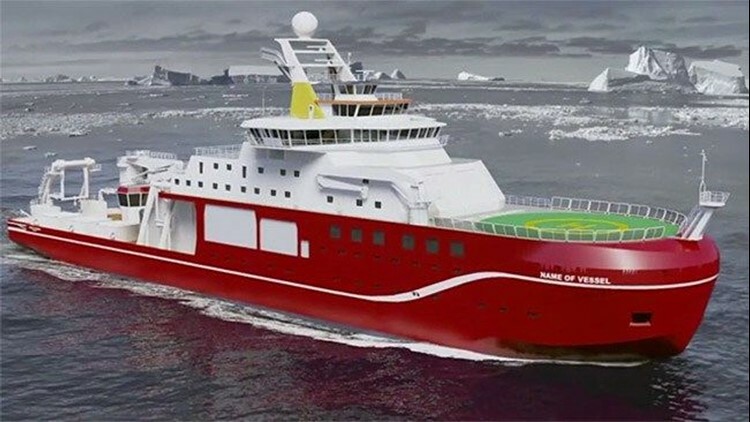 Nonetheless, the name "Boaty McBoatface" could be given to a 200 million-pound ($288 million) vessel because of a public preference for that moniker. The name has emerged as a favorite since Britain's Natural Environment Research Council sought input in naming the new vessel, urging the public to find an "inspirational name" that reflects the ship's mission and celebrates Britain's long naval history. Spokeswoman Alison Robinson said Monday the council is "pleased that people are embracing the idea in a spirit of fun." She said thousands of names have been proposed and that many honored British explorers and British history. Robinson said the council will announce the name it has chosen "in due course" based on the criteria it set — which that suggests "Boaty McBoatface" may not make the grade even if it gets the most online backing. The man who proposed the name, former BBC radio host James Hand, told BBC radio he has "apologized profusely" for the controversy created by his jest. He said he actually voted to name the ship after naturalist David Attenborough. Others have suggested naming the ship after the late David Bowie. The boat will launched in three years. Officials say it represents a significant advance for Britain's scientific fleet.